knew _____." The results astounded her. Some answers were humorous, others were heartbreaking-all were profoundly moving and enlightening. The results opened her eyes to the need for educators to understand the unique realities their students face in order to create an open, safe and supportive place in the classroom. When Schwartz shared her experience online, #IWishMyTeacherKnew became an immediate worldwide viral phenomenon. 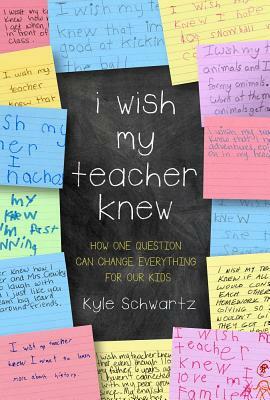 Schwartz's book tells the story of #IWishMyTeacherKnew, including many students' emotional and insightful responses, and ultimately provides an invaluable guide for teachers, parents, and communities. Kyle Schwartz is a third-grade teacher. She lives in Denver, Colorado.